Backed by a powerful integration with G Suite, the Sigstr implementation process is simple and efficient. The integration has two functions. 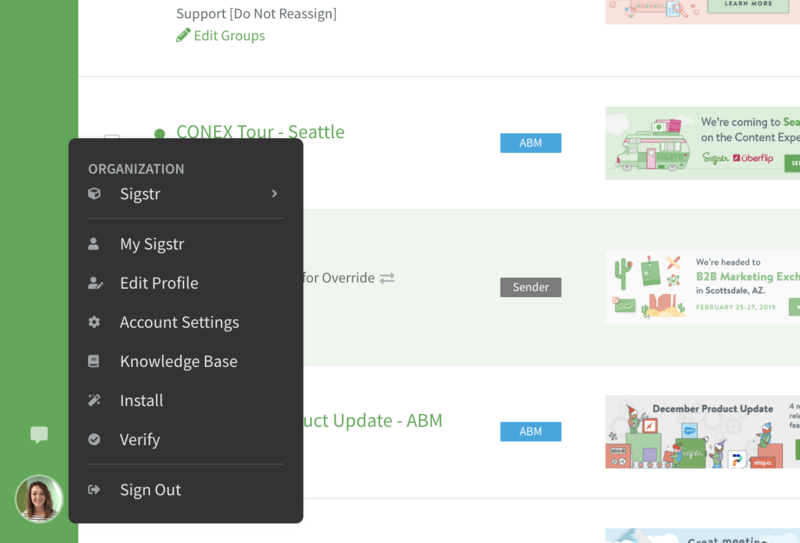 It allows customers to import basic user information to Sigstr straight from G Suite and removes the need for employees to install the signature individually. Before logging into Sigstr, make sure API access is enabled in your G Suite settings. API access allows you to perform actions on Google Groups, organizational units, user accounts, and user security settings. Once in the Sigstr application, navigate to your Account Settings. Within settings, go to the Integrations section. In the Integrations window, select Configure. The next window allows you to choose which processes you are interested in – Import User Data, Sync User Signatures, or both. After selecting the appropriate permissions, click Integrate with Google. Please note that you must use the credentials of a Super Admin. Google Admin credentials are not stored in the Sigstr system and Sigstr never receives direct access to a customer’s G Suite primary account. 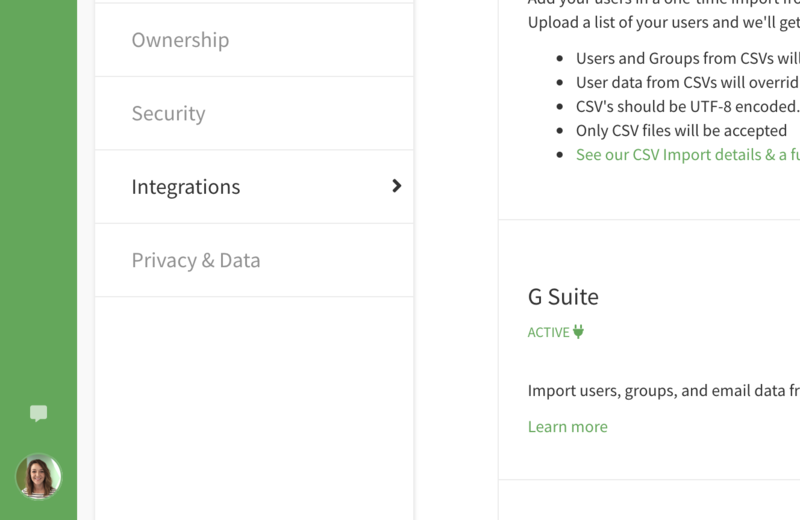 After enabling the integration, you will be taken back to the Sigstr Integrations page where you will have the option to Configure Import, and/or Sync User Signatures. 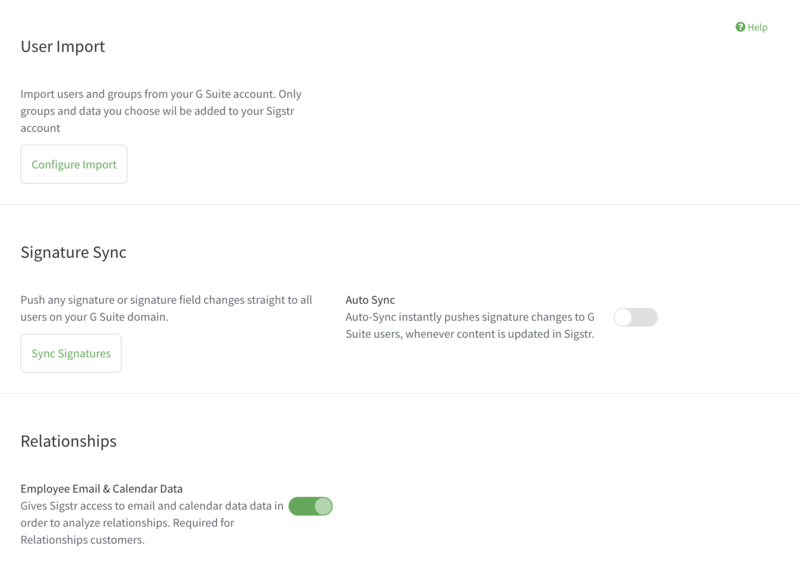 If you are a Sigstr Relationships user, you will also have the option to grant Sigstr access to your email and calendar data.